The Primula 3D printer is a modified open source iTopie design with a diamond head triple mixing extruder for providing full-colour FDM printing. Dimensions are X: 200mm, Y: 200mm, Z: 180mm. 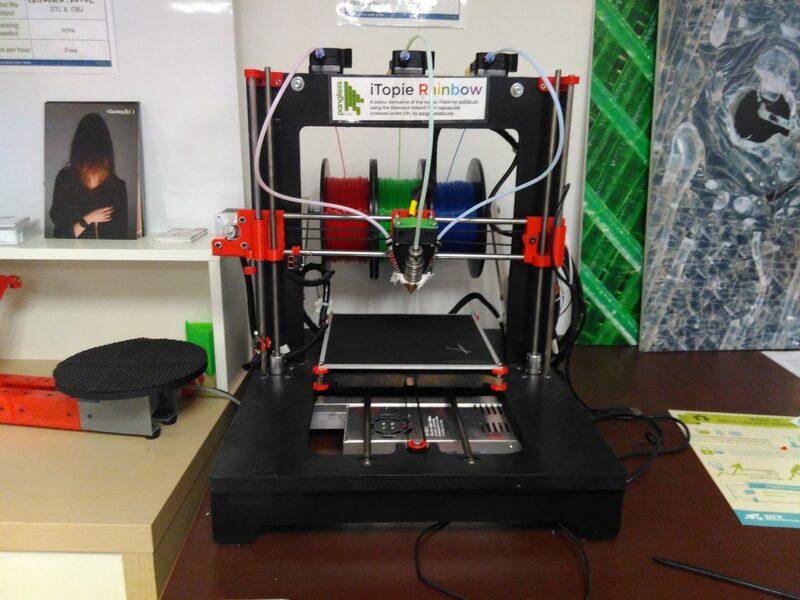 The printer uses 3x rolls of 1.75mm PLA and is capable of mixing the colours in real time. Do not ask for specific Pantone colours, it is far more experimental than that.